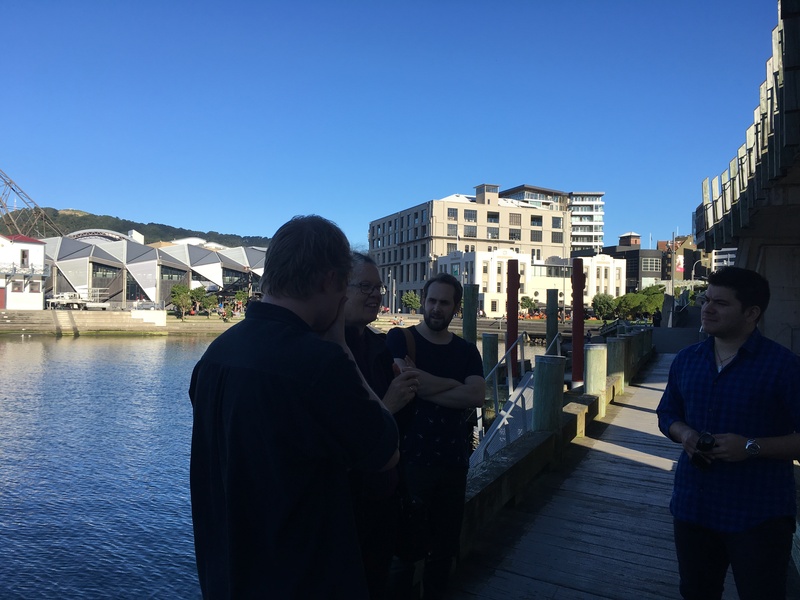 Hi I’m Jeff, I’m Jono and I’m Seb and we are postgraduate students from the School of Design, we are in the process of developing a project, for the Wai-Te-Ata Press, that we like to call the Literary Atlas of Wellington. 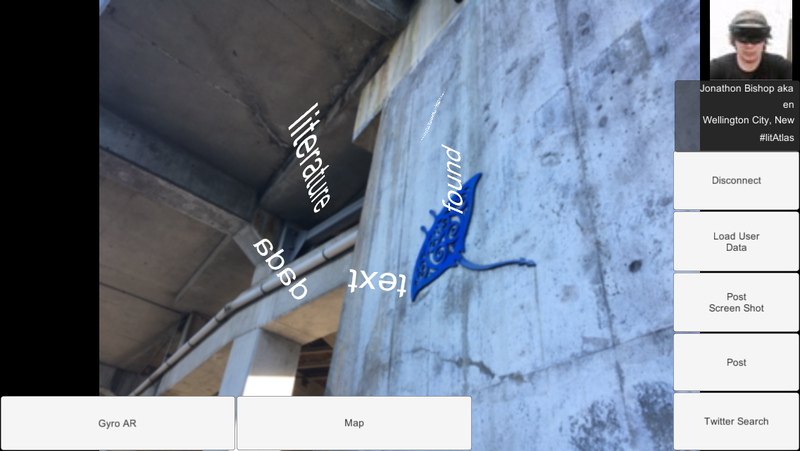 It is a beautiful day and you’ve heard about an app called the LITATLAS of wellington. 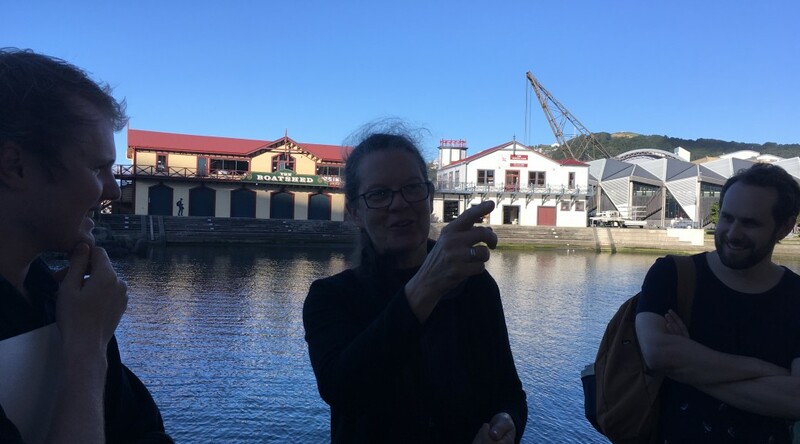 You grab your phone and you head to the wellington writers walk on the waterfront, to gain some inspiration for you studies. 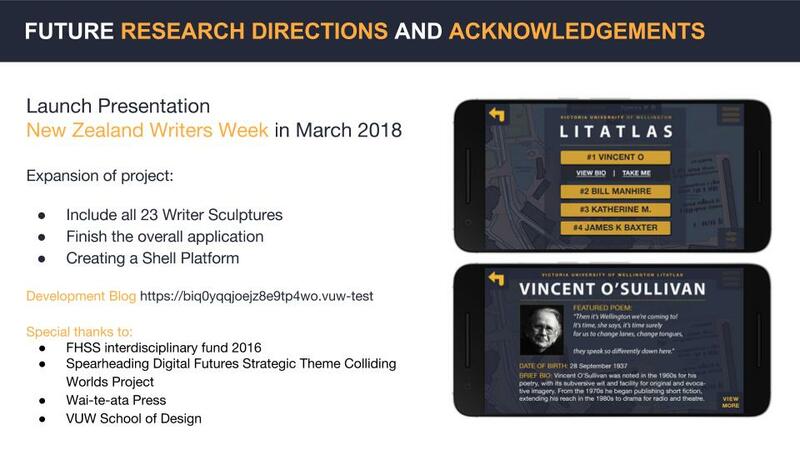 You pull out your phone, start up the LITATLAS application and point it at a writers poem starting an augmented experience. Each experience is tailored to embody the essence of the poet. You make a poem post it to twitter. The following is a video demo of the most current build of this application. As you can see from our video demonstration, the lit atlas application contains interactive augmented reality experiences. These interactions create found poetry generated from words specific to each author’s poetry. The experiences themselves are also tailored to reflect The poems featured by each sculpture. For example, katherine mansfield writes about wind, so in her experience the words fly around in the wind. Furthermore, Bill Manhire’s experience positions users at the edge of a void, “as if they were at the edge of the universe”. 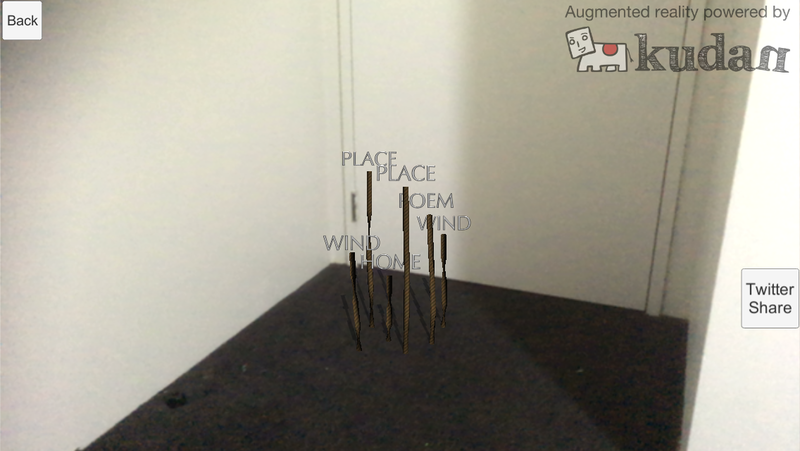 Each augmented experience is designed to visually emphasise each poem in this way. 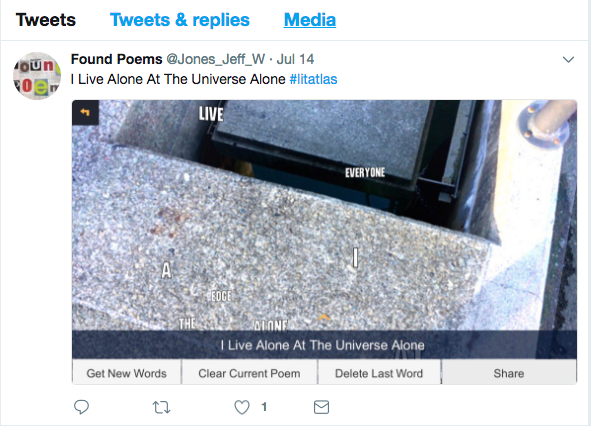 After a found poem is created it can not only be shared on twitter under the hashtag lit atlas, but also be presented on the lit atlas website as user generated content. Other users can view these found poems creating a community and adding to the literature that is being produced. The goal of this is to breed creativity among users and promote new ideas and ways of writing. In addition to the smartphone application there a responsive front end website and a Content management system also known as a CMS. 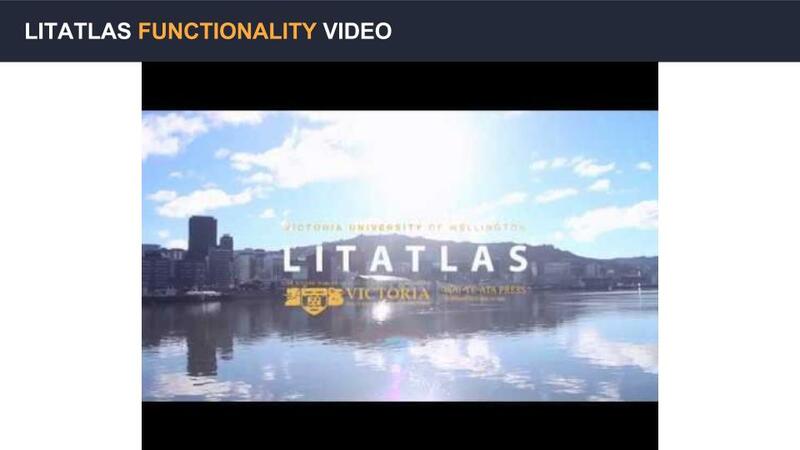 This CMS categorises and archives data from various authors who have strong connection with victoria university. After this data is archived it is delivered to both the smartphone application and the front end website. The CMS has direct control over both the website and mobile application, anything that is added or edited on the CMS will automatically update on both mobile application and website. Right now our current development goal is the launch of the application in March next year. This will be conducted on the Waterfront during Writers Week in 2018. Furthermore as we have created this application from scratch to be scalable. So through our commitment to Open Source and Free software we have also planned to make a shell platform that can be used as a basis for new interactive applications and experiences for other fields of study or institutions. Wai te ata Press, School Design specifically Sydney Shep, Matt Plummer and Walter Langlaar for their ongoing support. This video was filmed and cut over the course of a weekend. Its purpose was to be a showcase of the basic functions of the Literary Atlas. 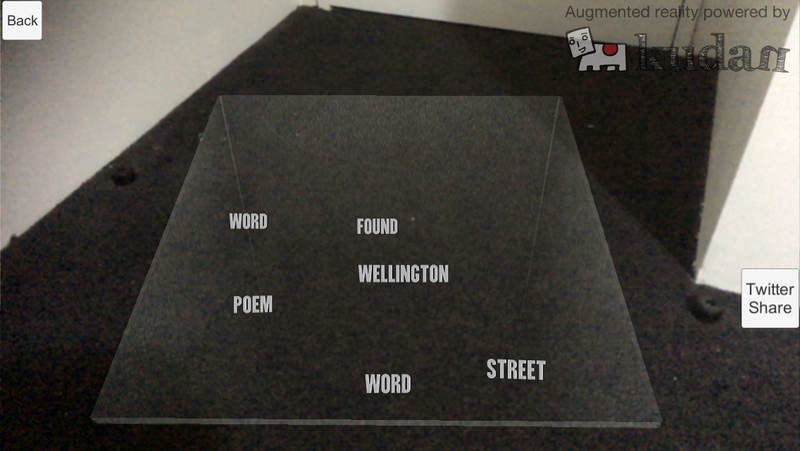 Each of the augmented reality interfaces allow users to create a found poem based on the words it presents. As seen below the poem appears below as the user taps on each word . 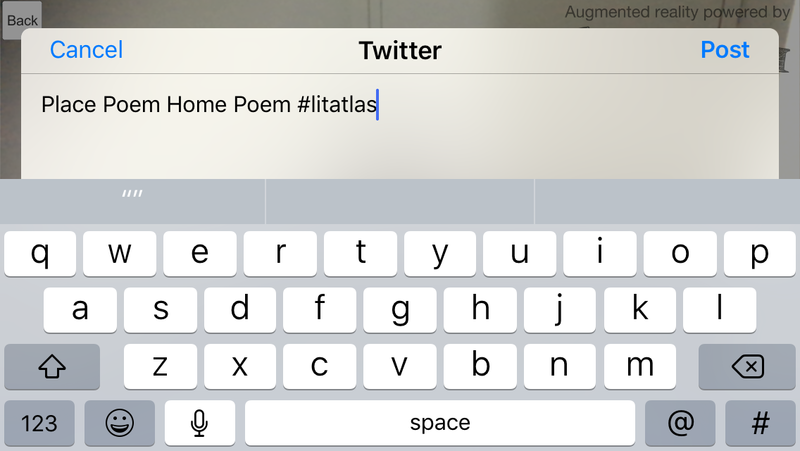 The user can then tap to share their poem on twitter ,along with the hash tag #litatlas. This severs two purposes, allowing our backend to search up and collect this unique identifier and to advertise our application with each tweet it produces. The twitter post also has the option of posting an screenshot image of the experience that it was created by. As seen from the various experiments and developments in this blog we have been having issues with marker based tracking. To hopefully mitigate these issues and due to the updated tracking technology that has become available we have decided to test and integrate markerless tracking. 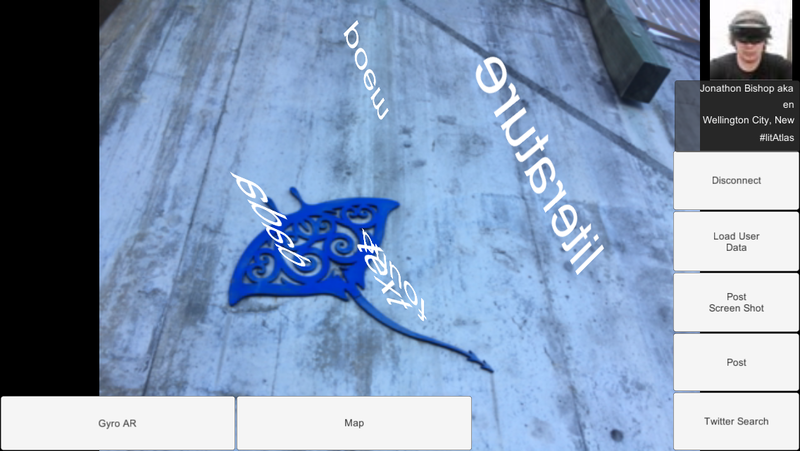 “Markerless AR” is a term used to denote an Augmented Reality application that does not need any pre-knowledge of a user’s environment to overlay 3D content into a scene and hold it to a fixed point in space. Until recently, most AR fell under the category of “marker-based AR,” which required the user to place a “tracker” — an image encoded with information that’s translated by complex software to produce a 3D object that maintains spacial orientation within a scene. The markerless tracking we have decided to use allows the user to place the 3D object in the scene. Keeping within our imposed limitation of free-ware we were recommended to use Kudan as the tracking software (replacing ARToolkit). The only downside of this integration was the inclusion of a sizeable watermark in the top right corner of the screen. During this meeting we had a short in initial meeting then a live test on the Wellington Waterfront. There will be a showcase of the application scheduled for the 18th July. The plan is to have a video demo, as the showcase will take the form of a talk. This meeting was a short discussion about the status of the Application. Ask Sydney about using our own markers? 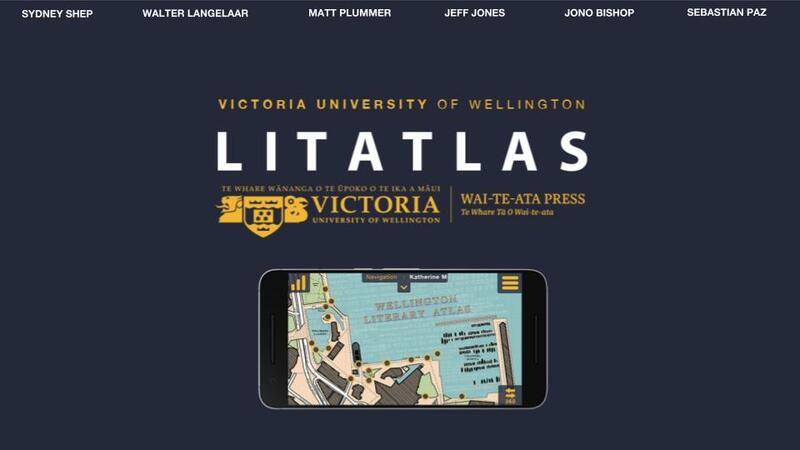 The Literary Atlas of Wellington is a mobile application which augments the Victoria University Library Collections into physical space making their content interactive for public consumption. So far through our development process we have completed an augmented reality mobile platform which will host these interactions. 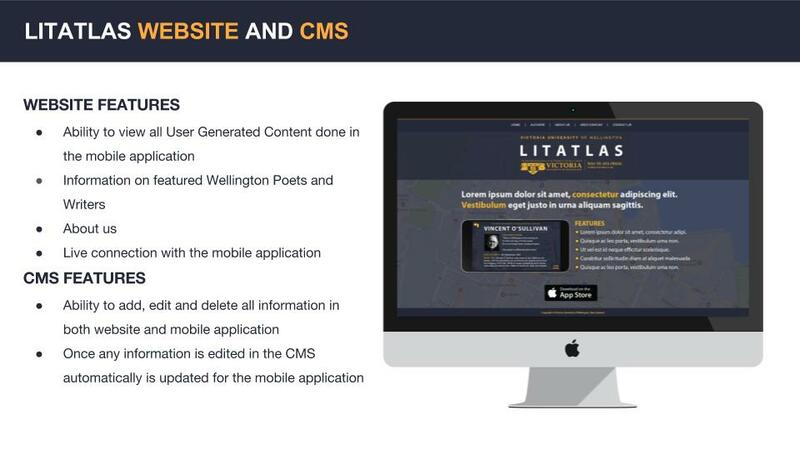 The content our application focuses are wellington writers based on the wellington writers walk on the waterfront. 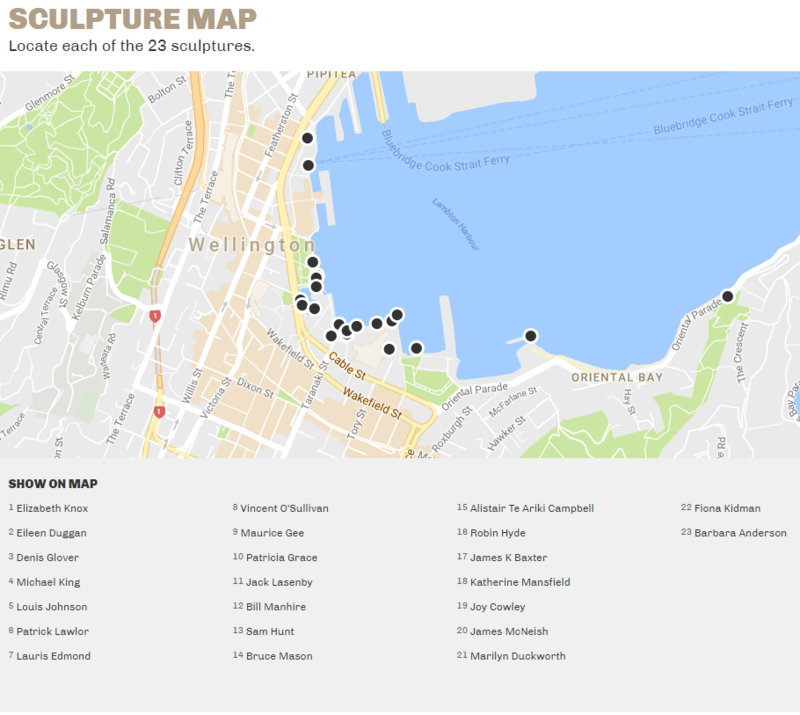 Our Literary Atlas app will allow users to walk to locations along the Wellington Waterfront in order to gather information about well-known Victoria University Writers from their sculptures on the Wellington Writers Walk. 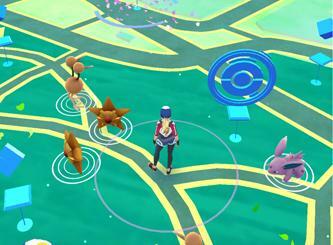 This is achieved through a combination of Geo Location Tracking and Augmented Reality. 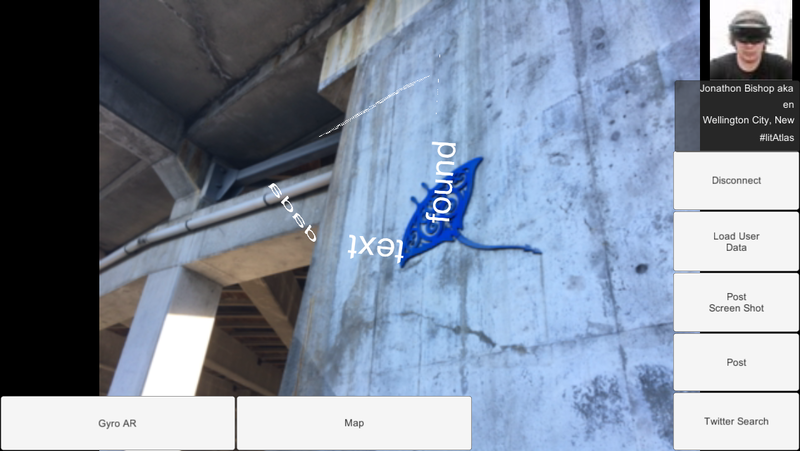 A functional and aesthetically pleasing map that uses geolocation data taken from the phone to position the user and give them access to augmented reality (AR) interactions based at points of interest the map. A functional content management system (CMS) that can sort, send and receive data between our server and a users phone. The CMS also comes with a functional front end website. The system is also scalable to include as much information that we require. The ability to send and store data from a phone to our server also allows us to have a database of user created content. 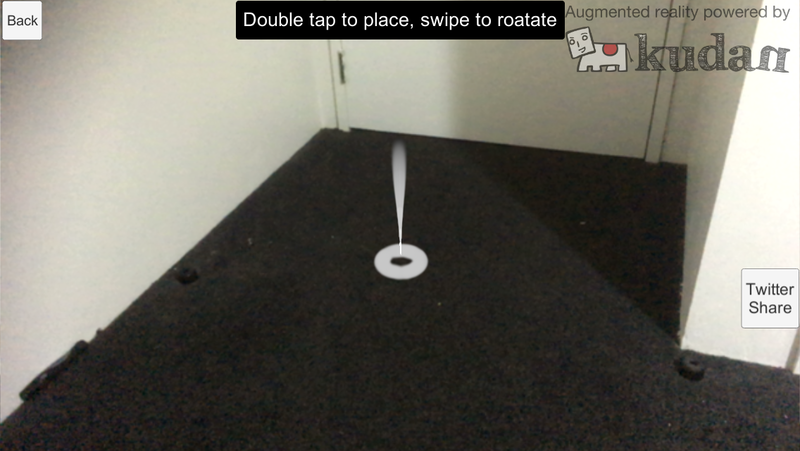 Our augmented reality scenes are functional at present but lack content. We have worked and researched with both a 360 degree instance and a natural feature tracking system to initiate these scenes. Our user interface layout is functional but not fully implemented yet into the mobile application. But we are in the process of refining the design of the icons to make them ore aesthetically pleasing and user friendly. The navigation system we have created is functional but, not yet fully implemented. Initial tests of this system work. Navigation is based on a points of interest and allows for user choice. For any other queries please look at our development blog for our testing and documentation design processes. 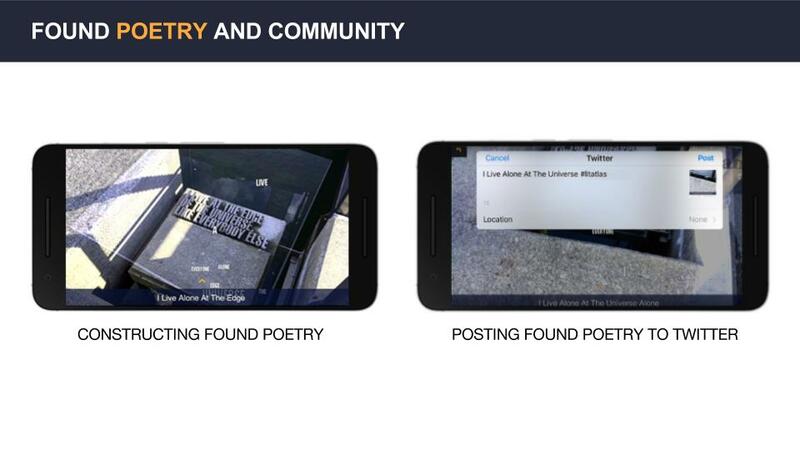 Content, Produce functional augmented reality content based on three writers poems, this content will produce found poems made by the users based on augmented text. Navigation, Complete and test navigation system and refine it so it can be scaled up if necessary. General Design Refinement, Revisit certain aspects of design (such as map), take a critical look at design, and refine to create a more cohesive application. User testing, Once we have completed the augmented reality content of this phase we will commence user testing to highlight issues with user interactions. A usability report will then be completed on these tests to summarise them. Interface and UI design, The aesthetic design of the UI icons will be completed and implemented into the application. User based content testing, Methods for storing and displaying user based content will be researched and tested. We have some concepts with the use of Twitter API and displaying content in the application in the pipeline. 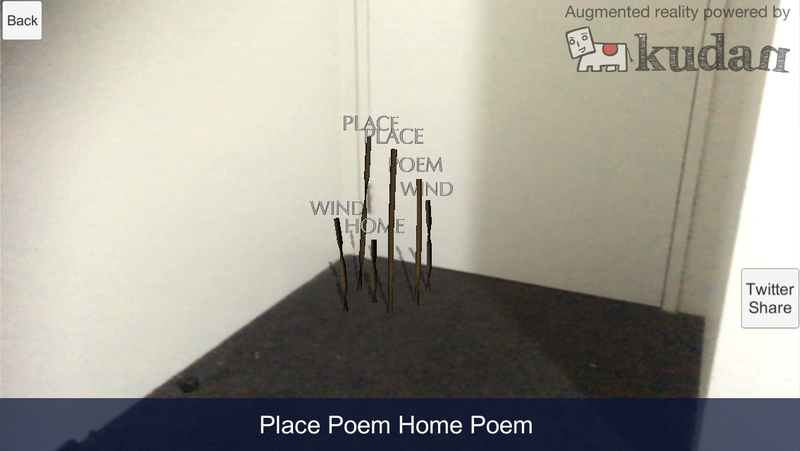 Multiple poems in AR based on Writer Walk Sculpture that open like a virtual book. After the poetry reading we caught up with Sydney at the Wai-te-Ata Press and had a meeting about development so far. The points below were covered over the course of the meeting. Navigation, Replacing the spinning way points with a radar system which is easier to understand, we could base this around the user model or the way-points themselves depending on what works best (some testing needed here). Not necessary but more user models / avatars? we could make them like chess pieces or put the users faces on them? Again this idea is an extra for experts. Street Signs a great Idea keep developing them. The street signs are 3D objects on the map which point in the directions of different way-points giving the user another general, idea of which direct to head. On the note of the Way-point -map maybe we can draw some inspirations from gaming mini-maps/ maps?